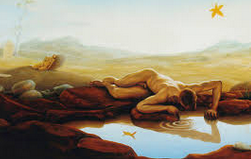 The legend is that Narcissus was a handsome Greek youth who rejected the desperate advances of the nymph Echo. As a punishment, he was doomed to fall in love with his own reflection in a pool of water. Unable to consummate his love Narcissus was said to stare at his image in the pool hour after hour and finally pined away and changed into a flower that bears his name Narcissus. 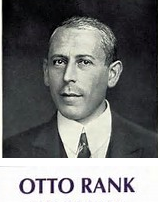 In 1911, Otto Rank, a prominent psychiatrist, spoke of narcissism as being related to vanity and self-admiration. 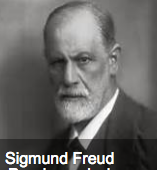 A few years later, Sigmund Freud thought narcissism was not necessarily abnormal. He distinguished between primary narcissism with self-love which is linked to self-preservation and secondary narcissism where there becomes limited ability to love others and the problematic development of megalomania. 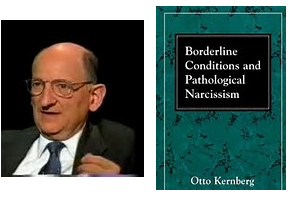 In the 1970’s, Otto Kernberg wrote extensively on this subject and felt that there was a group of people who have an unusual degree of self-reverence in their interactions with other people. He noted that in these individuals, there was a great need to be loved and admired by others and a curious apparent contradiction between a very inflated concept of themselves and an inordinate need for tribute from others. He believed that their emotional life is usually shallow and that they tend to experience little empathy for the feelings of others. Such people obtain very little enjoyment from life other than from the tributes they received from other people or from their own grandiose fantasies and they feel restless and bored when external glory wears off. Dr. Kernberg wrote about techniques for approaching such patients in psychotherapy. The latest version of the Diagnostic Criteria Manual (DSM-5) from the American Psychiatric Association stated that a Narcissistic Personality Disorder is a pervasive pattern of grandiosity (in fantasy or behavior), need for admiration, and a lack of empathy beginning by early adulthood and present in a variety of contexts as indicated by five or more of the following. Has a grandiose sense of self-importance (e.g., exaggerates achievements and talents, expects to be recognize as superior without commensurate achievements). Believes that he or she is “special” and unique and can only be understood by, or should associated with, other special or high status people (or institutions). Is interpersonally exploitative (i.e. takes advantage of others to achieve his or her own ends). 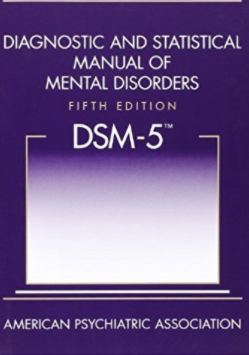 It is possible and in fact is often the case that other mental health conditions may be simultaneously occurring along with a narcissistic personality. This might be depression or other mood conditions, or variations of psychosis, et cetera. The criteria stated above are provided for mental health professionals to make a psychiatric diagnosis. Different professionals may disagree whether an individual meets a particular criteria. Also, it should be obvious that only five criteria are necessary to make the diagnosis. Therefore, people with the same diagnosis might be quite different from each other. For example, an individual theoretically could be quite empathic and not be arrogant or have haughty behavior and still meet the criteria. Any diagnosis should not be a derogatory value judgment of an individual. It is true that some of the above-criteria deal with being self-centered and not relating well to others which usually makes a person unlikeable. This is not always the case, sometimes a person with these characteristics may be quite charming and liked by others, as well as having other positive and endearing characteristics. From my experience, it is true that people with narcissistic personality do not seek therapy as much as others do. But certainly that is not always the case. In fact, such a person may be particularly susceptible and even devastated by a “narcissistic injury” which would be circumstances which gives the person insight into their weakness, faults and vulnerabilities. Such a person may very well feel that he or she need help in dealing with these overwhelming feelings. Nevertheless, it still requires a set of specific circumstances for a person with narcissistic personality to decide to seek psychotherapy. Treatment of such of individual is often difficult and requires special techniques.